The IAM is warning that serious deterioration in the condition of many UK roads, due to severe winter weather, could be even worse than last year as the country’s roads thaw out. 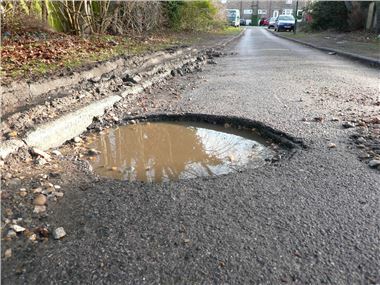 The pothole-ridden state of the UK’s roads coincides with a double increase in the price of running a vehicle, with a 0.76 p increase in fuel duty on 1 January and the VAT increase to 20 per cent on the 4th. The IAM want some of the new duties and taxes to be earmarked for road repairs and removal of dangerous traffic harming measures such as speed humps and cushions that weaken the road structure leading to pothole infestations. Every year the government raises more than £25billion in fuel tax and £13billion in VAT from road users. It makes long-term economic sense to keep investing in better roads now to save even higher bills in the future.